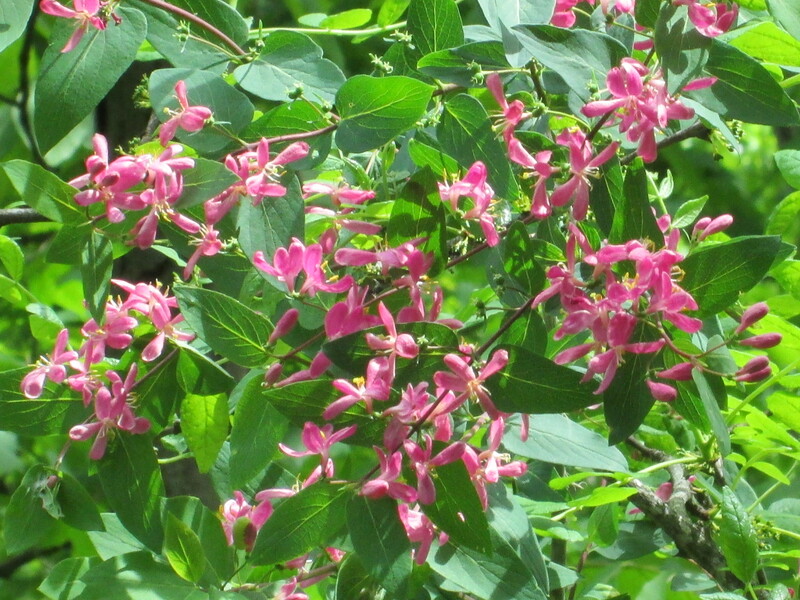 I have a shrub at THO that has busted out in pink blooms this year. 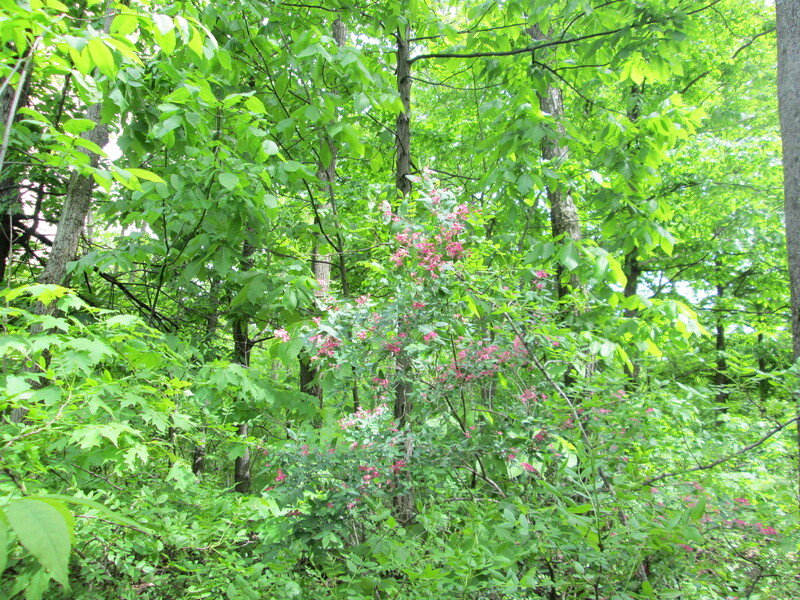 It turns out that this nice little plant is an invasive species… a native of Siberia (and other parts of Asia). A weed that was brought here as an ornamental plant but it pushes out the native varieties. My first reaction was to stop and admire it… now I know what it is and am not so sure it is pretty. So sorry to hear of your Packs Illness. The vultures pictured in the tree have spotted something dead or dying. May be that made the dogs sick. Hope all is well now. Like your Blog. Honeysuckle is an amazing edible. The flowers taste great and making tea from the honeysuckle helps to fight off fevers and headaches. It is one of the oldest herbs used as medicine. Makes great syrup as well! This is a plant I have never used medicinally. I had never learned this before, but based on your shared knowledge, I just looked it up and found some recipes. Because of your wisdom, I have decided not to pull it out. Typically I yank up all invasive species… this one I will be mindful to watch it so that it does not spread past the point where I feel it is useful. Maybe find out if it is Edible or not? Will you keep it or pull it out? Don’t think ‘weed’ ….. think of it as a ‘volunteer’. I think it’s lovely. Enjoy!! I look forward to your blogs – keep on writing!